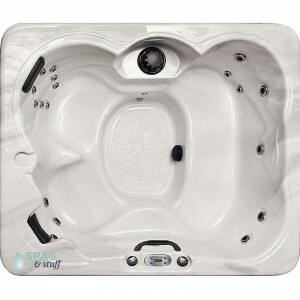 Our portable hot tubs and spas for range from plug in 110 volt hot tub spas , to our luxury premium hot tub with TV: 20" Hi-Def waterproof LCD TV and DVD. 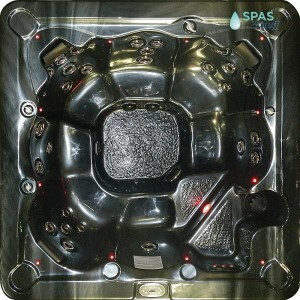 Hot tub lights and stereos are popular options. 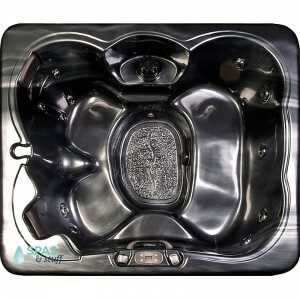 We offer the latest technology in saltwater hot tubs and spas. 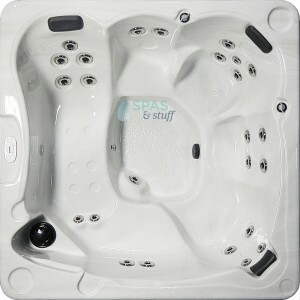 All spas are designed for the coldest northern climates, but also as indoor hot tubs and spas. 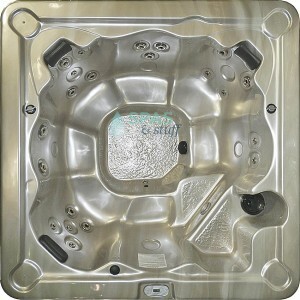 Enjoy the deep discount hot tub savings with our everyday online sales prices, free hot tub shipping. 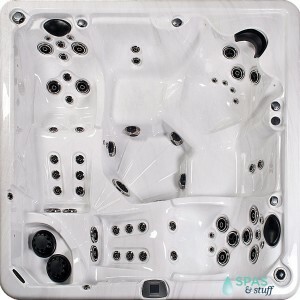 Make Spas And Stuff your online hot tub and spa dealer. 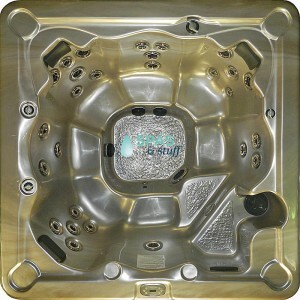 Why pay high hot tub prices at a retail store? 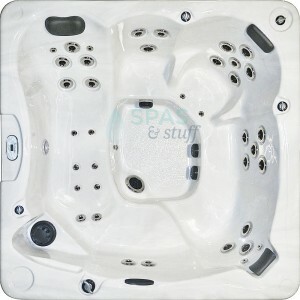 Our prices may be cheap, but our best quality hot tubs and spas are an excellent value. Don't miss our hot tub reviews, as submitted by our happy customers. 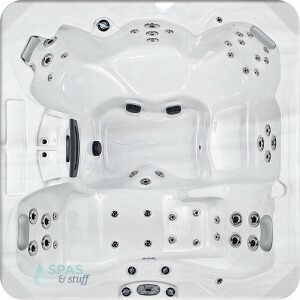 79" x 66" x 30"
91" x 91" x 36"
Large 92" x 92" x 36"